We provide the widest range of security solutions across major cities in India, as well as maintaining a steady international clientele. Our operations are co-ordinated by the very best of military trained, professional and a dexterous workforce. We have gone beyond security services and constantly pushed the edge of excellence in our training and development regime. We provide military influence training and learning techniques as well as a wholesome technical education in security services and diligence. To balance the rigorous regime we instill recreational and devout religious knowledge in all our graduates. Our dedicated training academy is our pride. Shree Vinayak Security Force is a unique company working beyond the definition of a traditional security provider. Shree Vinayak Security Force operates around the clock, every day of the year. You can count on us for prompt, rapid service at any hour. Our ever-increasing force is constantly vigilant all over the country and is equipped to coordinate, respond and handle any hazard, anytime, anywhere. As part of an integrated and multi skilled site based team, security personnel are equipped to assist emergency services and medical staff in the event of an incident. Shree Vinayak Security Force offers a variety of security services to ensure protection of your employees, assets, business or home. Every solution is designed to meet the requirements of the premises, risk level associated and account for your specific Health and Safety requirements. Customer service that consistently delivers quality services, on time and on budget. Development of innovative products and services which result in improved efficiencies and cost effectiveness for our customers. Employee engagement through ongoing education initiatives and engagement in customer service and workplace improvement programmes. A safe and enjoyable working environment for all employees, customers and visitors. 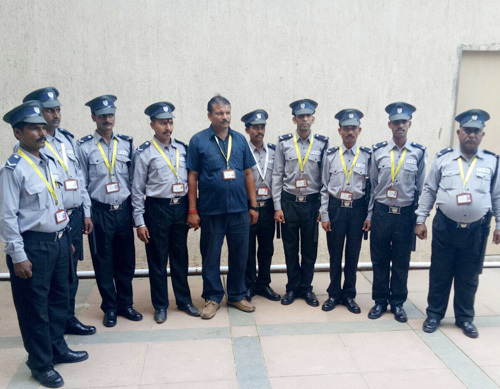 Shree Vinayak Security Force are known for provising Female Security Guards for Corporates & Shopping Malls in Mumbai Maharashtra Gujarat Uattar Pradesh. 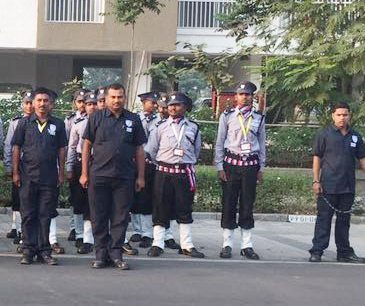 We provide Lady Security Guards for Hotel Entrances, large scale events and big functions. 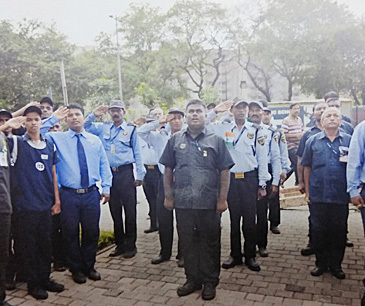 Female Security Guards for Women’s Hostel & Women’s College are catered by us. We provide Women Security in Luxury Hotels, Female Security officers, Female Bouncers Services. We also provide escorting services to female staff after work. Many of the female secutiry guards working with us are ex-servicewomen with more than 10 years experience in Security Services. The female security guards are given special training and again assessed for on the job performance. All duties performed by the guards are examined verified and improved on time to time basis. We take special care taken for important aspects of lady/female security guards such as previous experience, uniform, work responsibilities, background etc.